Before purchasing the CT 200h, I went through the process of choosing between the hybrid hatchback and a base-model IS 250 sedan. Why these two models? Price was the controlling factor — I had a definite budget and the base-model IS 250 with all-wheel drive was at the very top end. I really liked the idea of owning a hybrid F SPORT, and the CT is the only model in the lineup with both options. If the IS 300h had been available in Canada, it would have been my first choice. The 2.5-liter engine in the IS 250 paired with the AWD system is a sluggish combination, and it’s made worse by lackluster fuel economy. 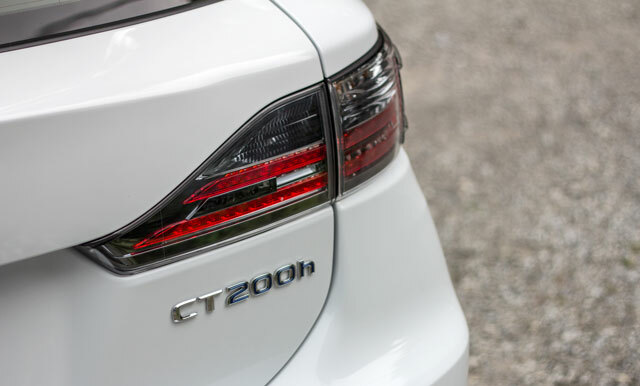 The CT may have even worse performance, but makes up for it with the 42 mpg fuel economy. Options also figured in — for the same approximate price as the base-model IS 250 AWD, I was able to get the CT 200h F SPORT package with heated seats, LED headlights, and a real leather interior. All of these points pale in comparison to the biggest reason for choosing the CT — after years with the 1994 LS 400 and a 1999 Mercedes C230, the new Lexus would be my family’s only car. Simply put, my wife prefers hatchbacks over pretty much every other vehicle, save for the out-of-our-price-range RX. Even if I had a list of reasons for preferring the IS, we likely still would have ended up with the CT — such is a life of marriage. Luckily, it’s what we both wanted, and so far it’s been a perfect fit.